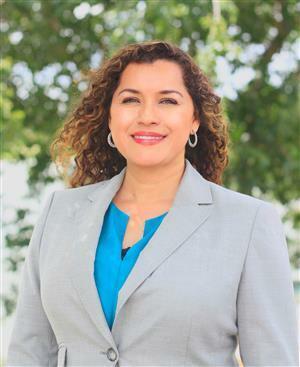 My name is Lorena Carrasco and I am honored and humbled to be the principal of Royalwood Elementary. My passion is to educate the child as a whole. I see a day in the classroom as an opportunity to make a difference in the lives of students, staff and the community. My goal is to lead the Royalwood family to the next level of excellence. It is a task that will be accomplished through collaboration with students, parents, teachers and the community. It will be a team effort. I am thrilled to be part of such an outstanding team! I graduated and earned a master’s degree in education from the University of St. Thomas in Houston. My educational experience includes working as a bilingual teacher and as literacy coach for teachers. As the campus literacy coach, I worked with students in PK-4th grade. I have taught English classes for parents. I was the assistant principal of Parks Elementary in Pasadena for 4 years before becoming the principal of Royalwood. I view our parents and guardians as equal partners in providing our children with meaningful educational experiences. I encourage you to become active participants in school programs and classroom activities. There are many ways to support your child, such as volunteering to help in the classroom, volunteering for the PTO or attending one of our many school programs. Thank you for all the support you have provided Royalwood this school year! I look forward to meeting you all soon!. Please feel free to contact me at any time if you have a suggestion, concern, or a celebration to share at 281-454-2700!